Google Search is getting new features almost on a daily basis of late. After rolling out ‘Multifaceted Featured Snippets‘ and ‘Symptom Search‘ to its users over the past few weeks, Google this week added Street View virtual tours for 11 Disney theme parks from around the world. Now, the company is introducing a new feature that will enhance its ‘Knowledge Panel’ info cards that pop up to reveal noteworthy information about famous personalities. It’s part of Google’s updated Posts on Google feature which is starting off with musicians. 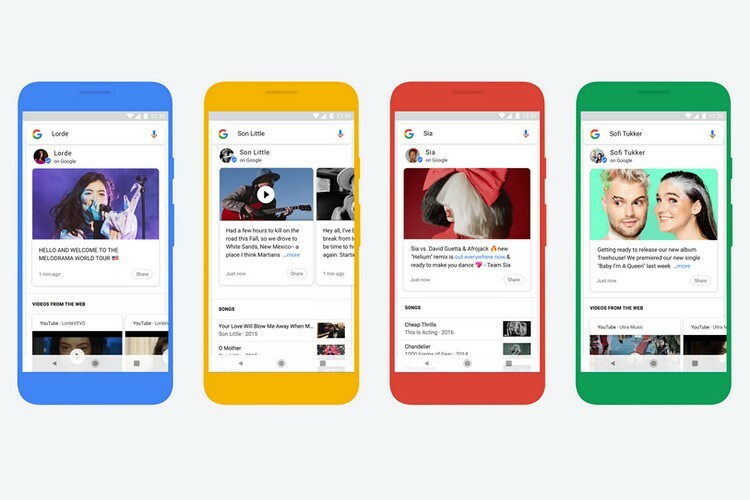 As part of the plan, Google says it will allow artists to post updates and messages about their tours, new albums and songs from to be displayed in search results for their name. The messages can include images, videos, GIFs and text, which will then pop up every time someone searches for them. The feature has already gone live for musicians from around the world, as can be seen in the screenshot below. Google also announced another new tweak that seems to be straight out of the Twitter playbook. According to the company, it will now allow musicians to get themselves ‘verified’ on its platform and receive a blue checkmark in the process. Just like on the microblogging network, users will be able to tell if a post is from the artist or not by checking for the ‘verified on Google’ checkmark. 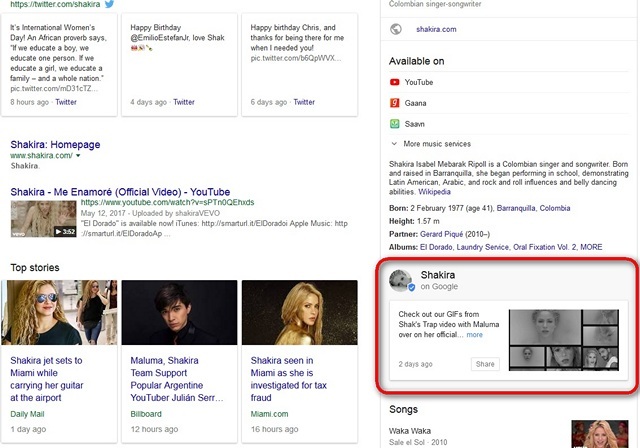 It’s worth noting here that Google already allows celebrities and public personalities to post updated content directly on its search results as part of its ‘Posts on Google‘ feature, and the latest development only seems to be an extension of that. Either way, the feature has already gone live, and although it’s only apparently available for musicians right now, there’s no plausible reason why Google won’t expand it to include all public figures and celebrities in the days to come.